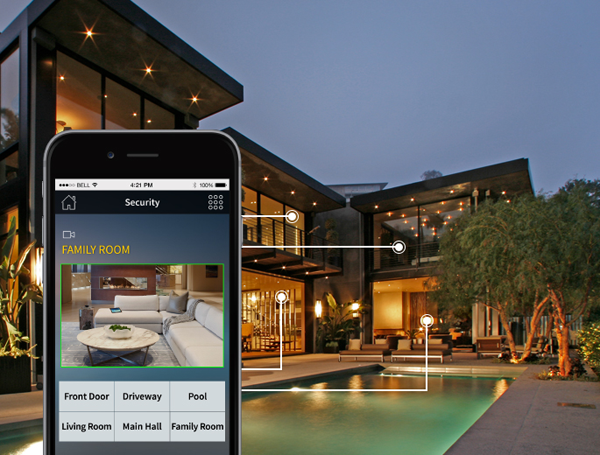 security, and more — with Crestron. Every room feels like center stage with Crestron multi-room audio and video solutions. Integrated technologies with easy-to-use controls give you the power to deliver rich sound and vivid images to any environment with unparalleled digital quality, whenever and wherever you need it. Video comes to life with Crestron. 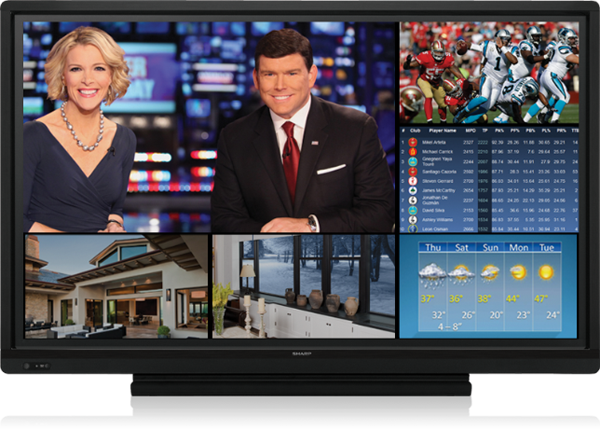 Whether your input is an HD image from a cable provider, a wireless presentation from a laptop or streaming video from the Web, Crestron displays it brilliantly on your TV or video screen. You can even display multiple sources on a single screen. Pioneering DigitalMedia™ technology means there's a full line of products designed to work together seamlessly. 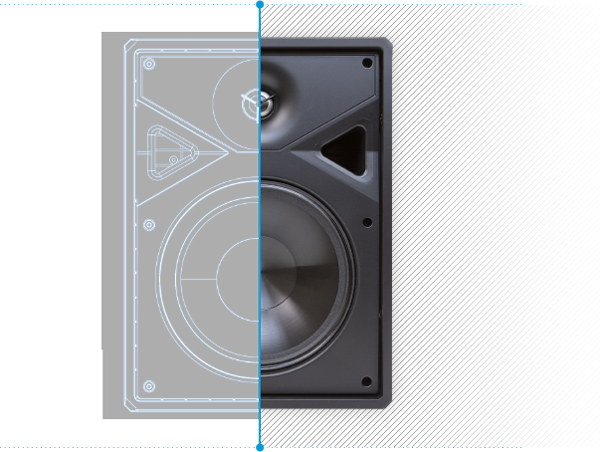 Elevate the experience with complete sound solutions from Crestron. Our signature high-fidelity speakers and audio distribution equipment can set the mood in a sophisticated hotel lobby, cross an auditorium with clarity, or immerse viewers in a home theater. 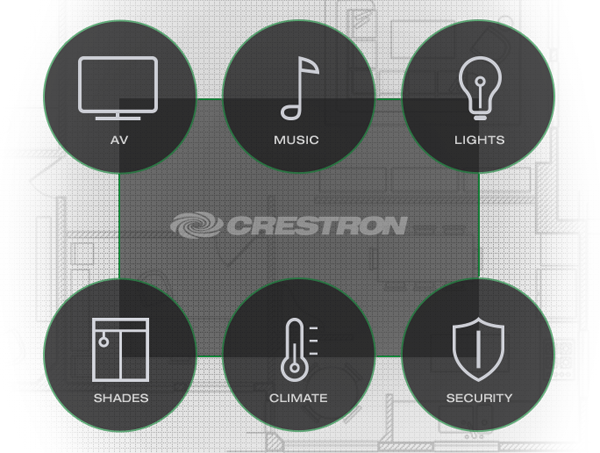 Crestron lets you instantly create unique sensory environments to suit any space or occasion. Eliminate the complexity and unleash your media with our newest wireless technologies. Display content such as photos and documents from personal devices without the hassle of plugging in. You can also distribute streaming video throughout a home, building, campus, or around the globe. 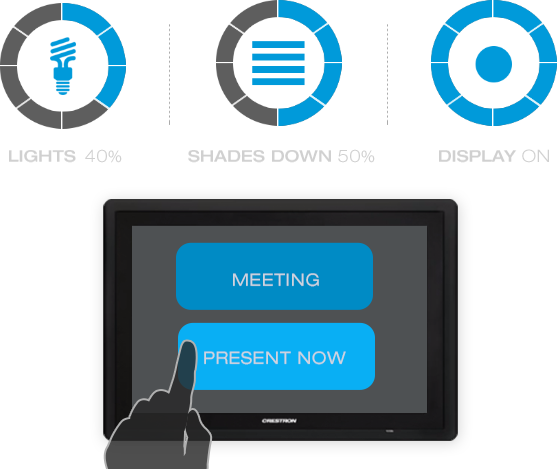 One touch is all it takes to set up a flawless presentation environment. With solutions to instantly adjust lighting, shades, media settings and more, your meeting will be ready to captivate the audience of any conference room, classroom, or auditorium. When it comes to meetings, Crestron makes it simple — you make it unforgettable. Focus on connecting with your audience--not your device. 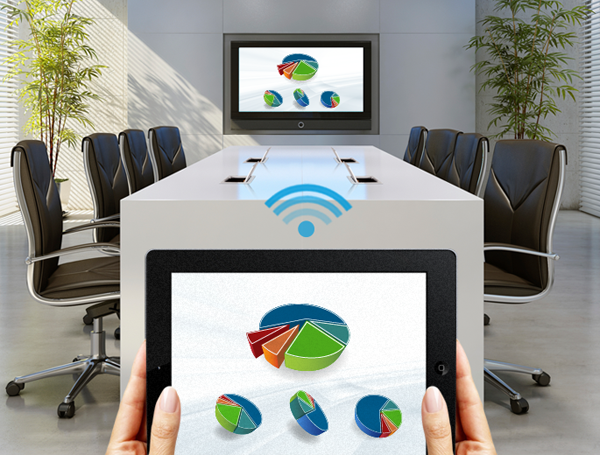 Crestron makes it possible, allowing users to conveniently connect or wirelessly present from their devices anywhere in the room. 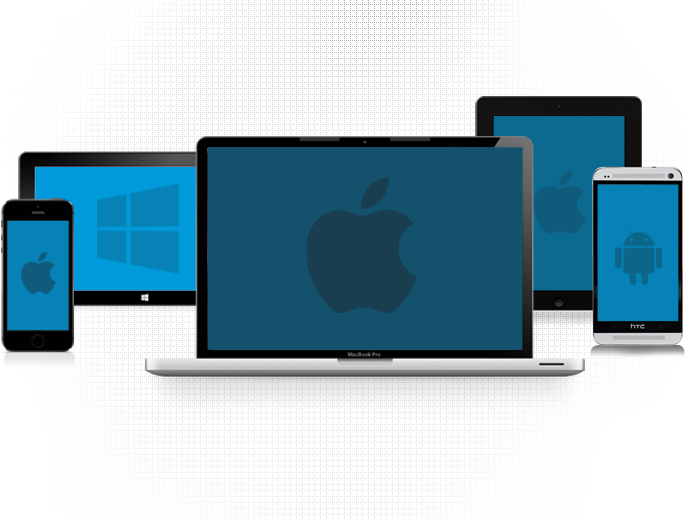 Create a more interactive experience through remote viewing, multi-user support and more. 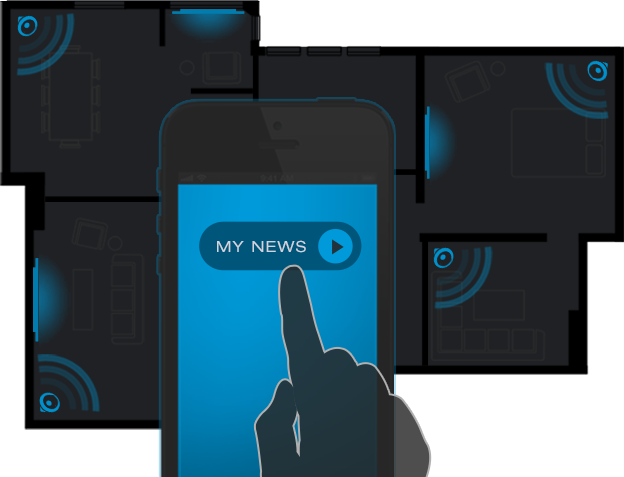 Users can control, participate and share the content from their own smart phone or laptop. Work side-by-side with your team, even when you're miles apart. 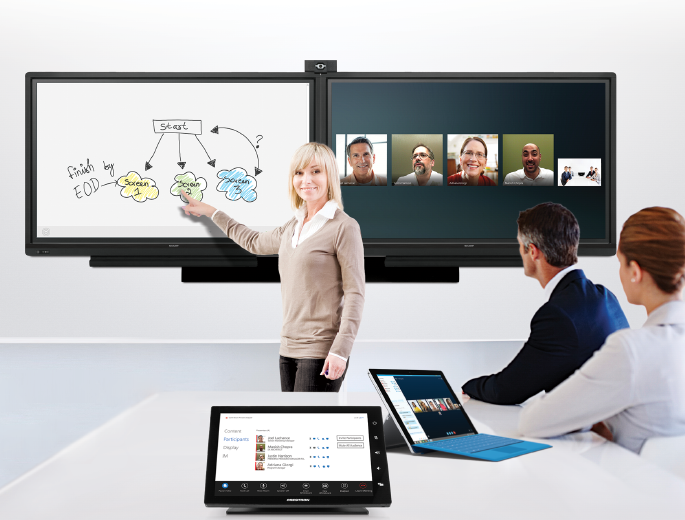 Crestron video collaboration solutions are a whole new way to share, collaborate, and communicate in real time as if you were in the same space, saving your organization travel time and money. Best of all, with Cisco©, Microsoft© and Polycom© integration built-in, Crestron video collaboration solutions work seamlessly with your existing technology. A multi-tasking world demands a multi-display solution. 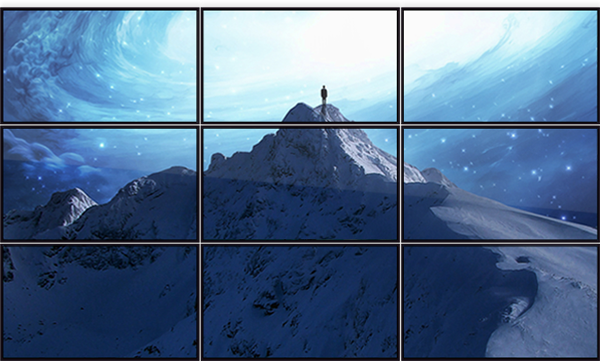 Crestron DigitalMedia™ can create video walls out of ordinary televisions, providing the ultimate way to display hundreds of different video sources simultaneously, with an intuitive interface to help control every input and output with ease. Show side-by-side data projections, let video accompany presentations, or employ every screen for maximum effect - there's no idea too big for a Crestron video wall. And count on exclusive QuickSwitch HD™ technology for fast, reliable switching between various digital HD sources, including HDMI and DVI. 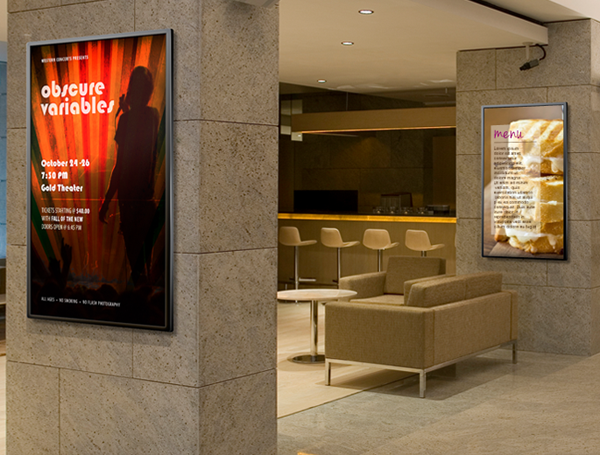 When you need to get the message across, count on Crestron digital signage solutions. Easily manage one or multiple signs with complete control, allowing you to communicate directions, alerts, promotional messages and more. It's the reliable way to display across separate video screens spread throughout hotels, buildings, campuses and other large environments. Critical applications call for uncompromising solutions. 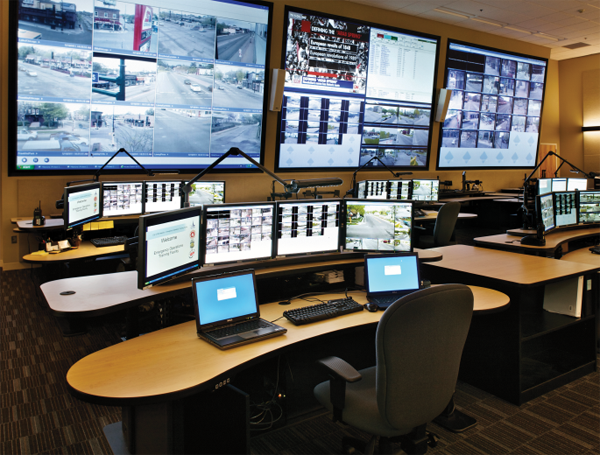 That's why military operations, law enforcement, and government agencies all rely on Crestron to provide the advanced hardware and software necessary to manage the most intensive emergency, surveillance, and operations needs. Our customized solutions are flexible and comprehensive, including the ability to route multiple AV sources from multiple locations, perform simultaneous HD broadcasts, and control it all from a unified interface. You can have the perfect morning every morning when you wake up to a Crestron automated home. One touch of the "wake" scene button and the lights will gently illuminate your side of the bed, without blinding you or disrupting your partner. Step into your preheated bathroom while the TV turns on to your favorite news channel—all without fumbling for switches or a remote. And that's just the beginning in a home where all the technology is seamlessly integrated. Have peace of mind knowing that whether you're down the street or across the globe, Crestron always keeps your home within reach. Receive email notifications and pop-up alerts on touch screens when possible issues arise. You can even view security cameras remotely for added assurance or just to check up on the kids. On your way back home, set the temperature and lighting for ideal ambiance so you can just walk in and enjoy being home. When it's time to enjoy a movie with the family, set the mood in an instant with Crestron. Easily control multiple audio and video sources with a handheld remote—the same remote that can lower your shades, dim the lights, and lower the projector screen for an immersive movie-watching environment. No need to worry about replacing your prized stereo or HD television—our system integrates technology from all your favorite brands flawlessly. At the end of a long day, wind down with some relaxing music throughout the house. 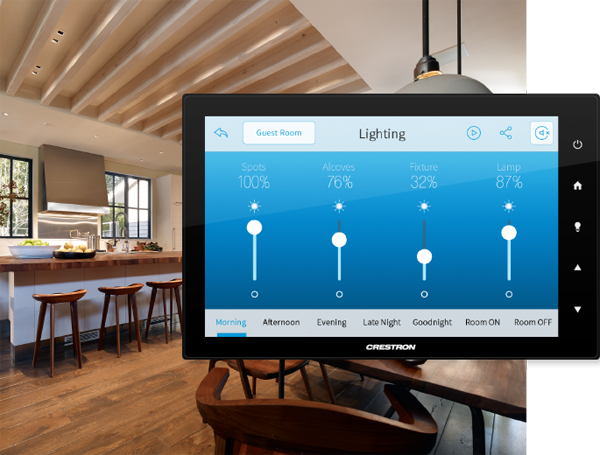 As you prepare for bed, Crestron takes care of the rest with customizable nighttime presets, ensuring your shades are lowered, lights throughout the home are turned off, and every lock is secured. Schedule the process to happen every night at the same time, or do it all at the touch of a button—it's up to you. Technology should simplify your life, not complicate it. 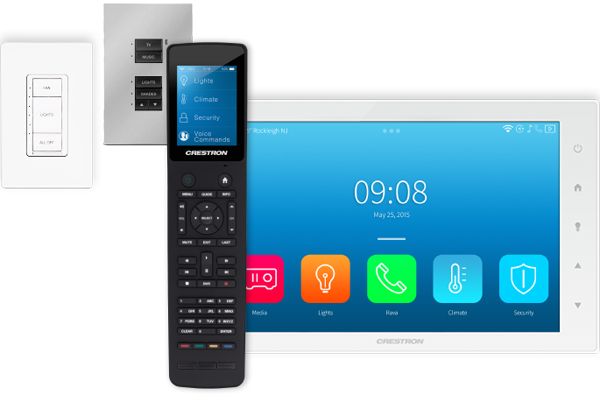 Crestron integrates disparate systems throughout your home and makes them easy to monitor and control with intuitive interfaces. All your favorite brands and existing equipment can be enhanced through integration, including your TV, Blu-ray player, stereo system, media player, and security systems — just to name a few. From touch screens that control everything, to keypads that control specific functions, there's an elegant solution for every room in your home. Touch screens provide a streamlined controller for everything in your home, and can even display AV content, such as live security camera feeds, TV programming, and more for added versatility. Alternately, elegant keypads provide discreet controls for room-specific functions, while complementing any décor. There are even waterproof remotes for use around pools and bathrooms, so you're always in control, no matter the environment. 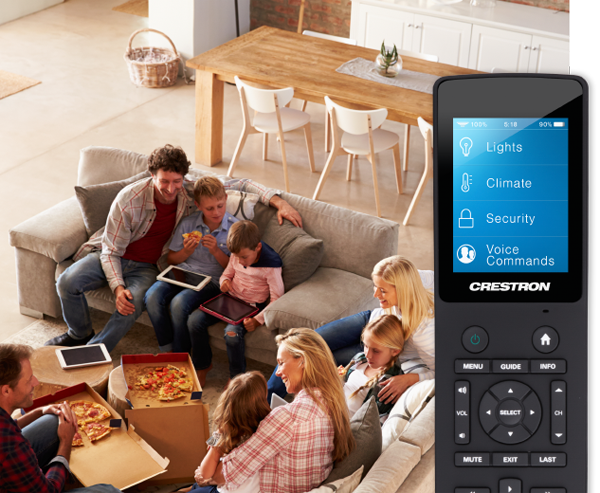 While there are many ways to manage your Crestron system, only one is always with you: your mobile device. 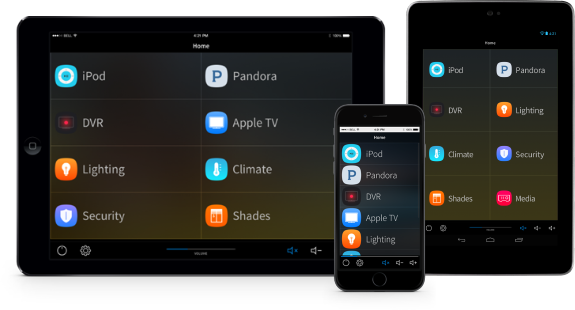 iOS© and Android™ apps give you a convenient way to monitor and control all the systems inside your home from a smartphone or tablet, so you can access them around the house or on the go.